Can’t believe the year is half over! It has gone quickly and with the holidays underway there is plenty to look forward to. With some schools starting their holiday period over a week ago and the weather being OK we got offshore quite a bit on a mixture of ½, ¾ and full day charters over the past week. 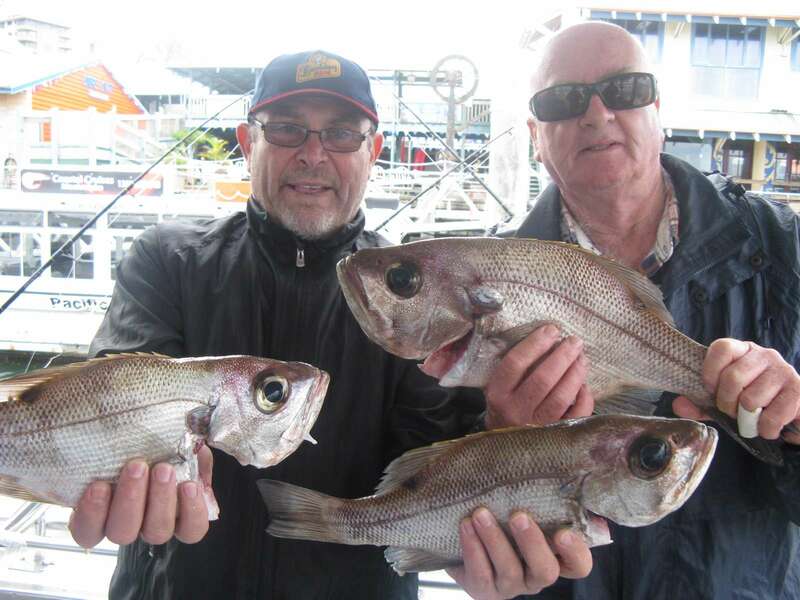 All reefs’ fished reasonably well catching species such as snapper, pearl perch, cobia, cod, tusk fish, moses perch, hussar, grassy sweet lip, fusilier and gold spot wrasse. The pearl perch were definitely the most active species this with some quality specimens, around 3kg and 50cm, coming from all reefs. 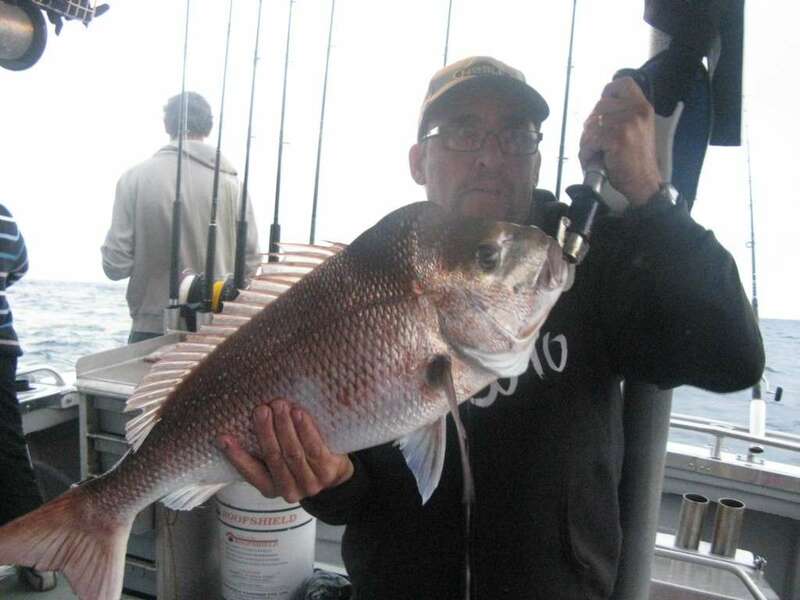 Snapper are the other winter target species and there were some caught around the 5 and 6kg mark and once again they seemed popping up on most reefs. 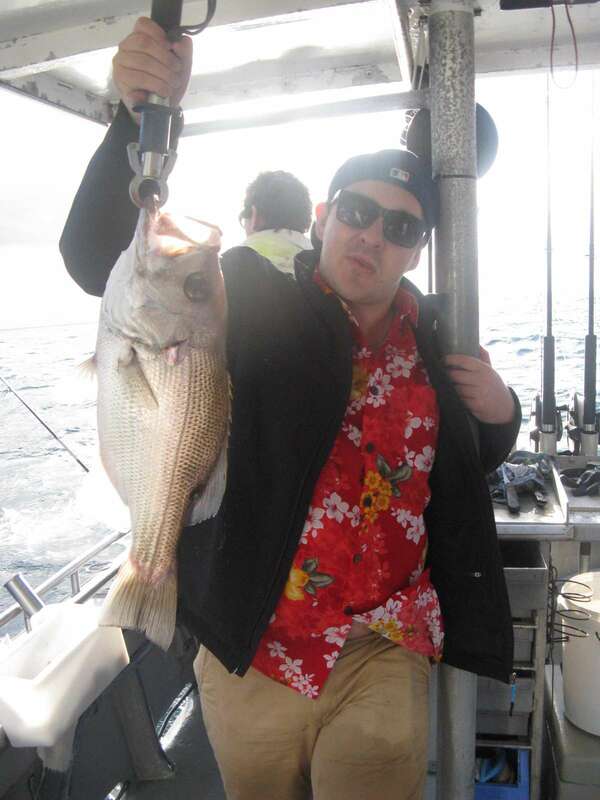 The picture below shows a decent snapper coming from only 3.5nm offshore on a half day charter. Well done Darren. The next picture shows some pearlies that were boated on the full day trip last Thursday. They were really firing this day in about 80m of water on Caloundra wide. We did cop a few showers but didn’t stop anybody and most punters were rewarded with their bag limit of this top table fish.